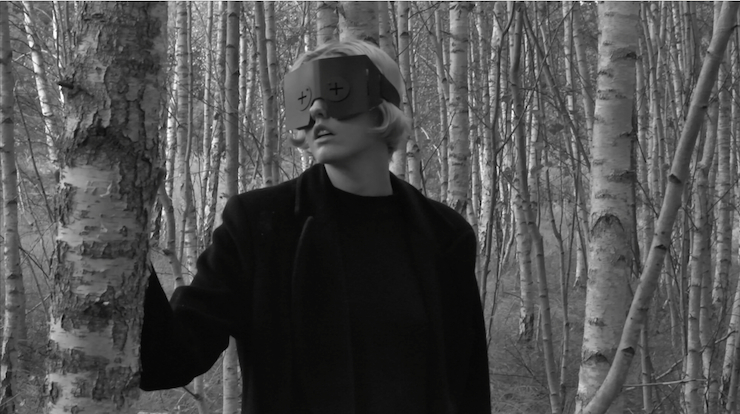 A woman dressed in black and wearing a “brandschutz” mask walks through a forest that she once remembered. She stops along the way to nourish her self with fruits, and continues on her journey navigating her way through. Upon discovering a painted hash-tag sign on a tree, she performs a ritual to try to remove it and a futile attempt to heal it. Looking around she realises she may not be alone, and that she has re-awoken to a changed dangerous world with an uncertain path ahead.